Knowing about proper deck construction is important when hiring a deck builder for your yard in the Swansea, Illinois, area. 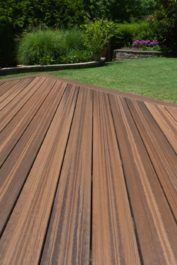 Your new deck should to be constructed from the highest quality materials and only installed by an experienced, reliable team of decking contractors. If you fail to choose the right deck builder, your deck may suffer from splintering and damaged boards in the future. At Chelsey Fence & Deck, we offer three different types of composite decking, including, Endeck Cellular PVC, Tamko EverGrain® composite, and Tamko EverGrain® Envision® PVC coated composite. Our Tamko EverGrain® Envision® PVC coated composite decking is recommended most by our deck construction crew because of its durability and fantastic 20-year manufacturer warranty that covers everything from fading to corrosion. However, no matter what decking style you choose, you are sure to enjoy your new long-lasting deck for years to come. 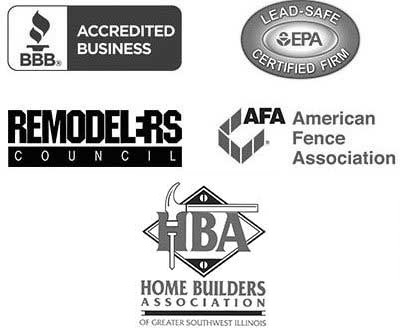 Contact Chesley Fence & Deck today to learn more about our deck construction options available to homeowners in Swansea, IL, or other nearby cities.